Friday 8 November marks the birthday of writer/director Richard Curtis. Here's a look back at his finest moments, from Black Adder to Love Actually - and beyond. New Zealand-born Richard Curtis studied English Language and Literature at Oxford where he met and began working with Rowan Atkinson. Curtis' first TV work was writing for Atkinson and friends on Not the Nine O'Clock News. 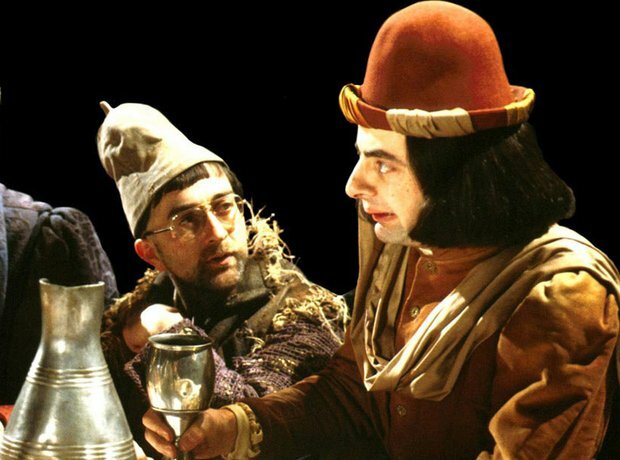 Curtis went on to co-write four series of Blackadder, first with Atkinson, and later with Ben Elton. The music was composed by Classic FM's very own movie music supremo Howard Goodall. Penned by Curtis and directed by Mel Smith, The Tall Guy is one of the funniest films of the 1980s. It starred Jeff Goldblum as the fall guy breaking free from playing straight man to Rowan Atkinson's tyrannical comedian, falling in love with Emma Thompson and landing the starring role in a dubious stage musical based on The Elephant Man. Another mighty collaboration between Rowan Atkinson, Richard Curtis and composer Howard Goodall. Mr. Bean went stellar, winning countless awards and attracting 18.74 million viewers for a 1991 episode 'The Trouble with Mr. Bean'. It has been sold in 245 territories worldwide and there's been an animated cartoon spin-off, two feature films, and an appearance by Mr. Bean with the London Symphony Orchestra at the 2012 Olympics opening ceremony. In 1994, Curtis created and co-wrote The Vicar of Dibley for Dawn French. In a 2004 online poll, The Vicar of Dibley was voted the third best sitcom in British history and Blackadder the second, making Curtis the only screenwriter to have created two shows within the poll's top ten programmes. Classic FM's Howard Goodall provided the music once again for the series. A big screen breakthrough for Curtis. Starring Hugh Grant and Andie MacDowell, Four Weddings was produced on a limited budget but went on to be the biggest grossing British film in history at that time. Curtis won an Oscar nomination for the script. The distinguished British composer Sir Richard Rodney Bennett provided the score. The magic combination of Curtis and Hugh Grant did it again - this time with the help of Julia Roberts as the world's most famous movie star. Notting Hill broke the record set by Four Weddings to become the top-grossing British film of all time. Trevor "The Last of the Mohicans' Jones composed the gentle uplifting music. A winning formula - Hugh Grant, Emma Thompson and Rowan Atkinson reunited with Curtis as director and writer and a touching Craig Armstrong score. The film featured a veritable Who's Who of British actors, including Hugh Grant, Colin Firth, Bill Nighy, Emma Thompson, Liam Neeson, Alan Rickman and Keira Knightley, and followed the love lives of eight very different couples in various loosely and interrelated tales all set during a month before Christmas. Hans Zimmer was the uncredited composer on this Richard Curtis-penned comedy about a band of rogue DJs aboard a pirate radio station in 1966. The film starred Philip Seymour Hoffman, Bill Nighy, Nick Frost, Rhys Ifans, Gemma Arterton and Kenneth Branagh. Curtis worked on the screenplay for Steven Spielberg's tearjerking adaptation of Michael Morpurgo's hit book and stage sensation. Curtis' work on Blackadder Goes Forth meant he was already familiar with the First World War. Spielberg's longterm collaborator John Williams provided a pastoral, Vaughan Williams-esque score. Curtis wrote and directed this heartwarming sci-fi comedy which told the story of Tim who discovers he can travel in time and change what happens and has happened in his own life. But his decision to make his world a better place by getting a girlfriend turns out not to be quite so easy.